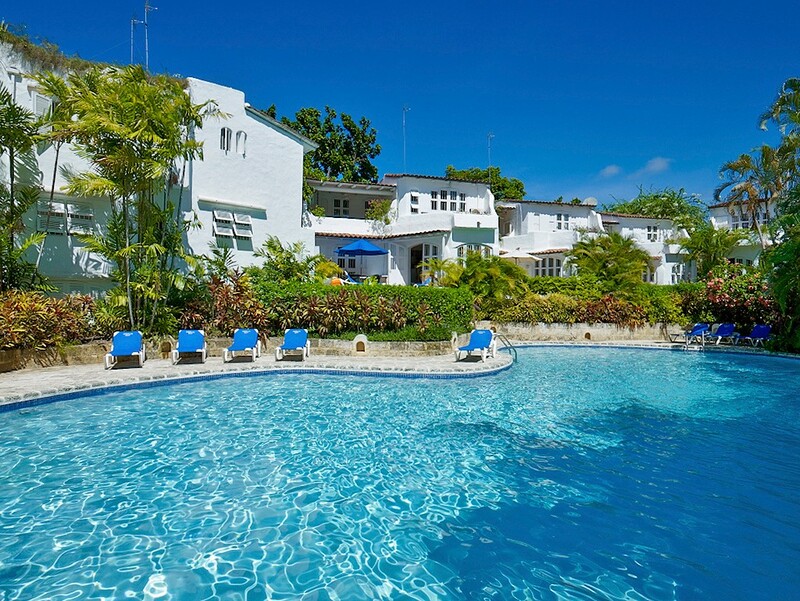 Villa Merlin Bay - Firefly Barbados. 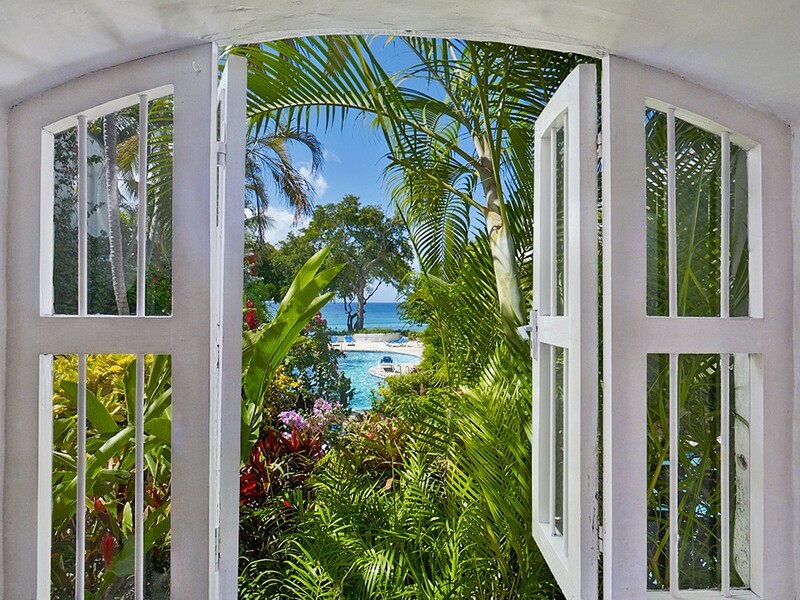 If you are yearning for the services and amenities of a world class resort but really desire the total privacy and comfort of a large and luxurious villa, the Villa Merlin Bay - Firefly in Barbados is a good solution. This stunning, three-bedroom, four-story property is part of a very limited and exclusive estate. 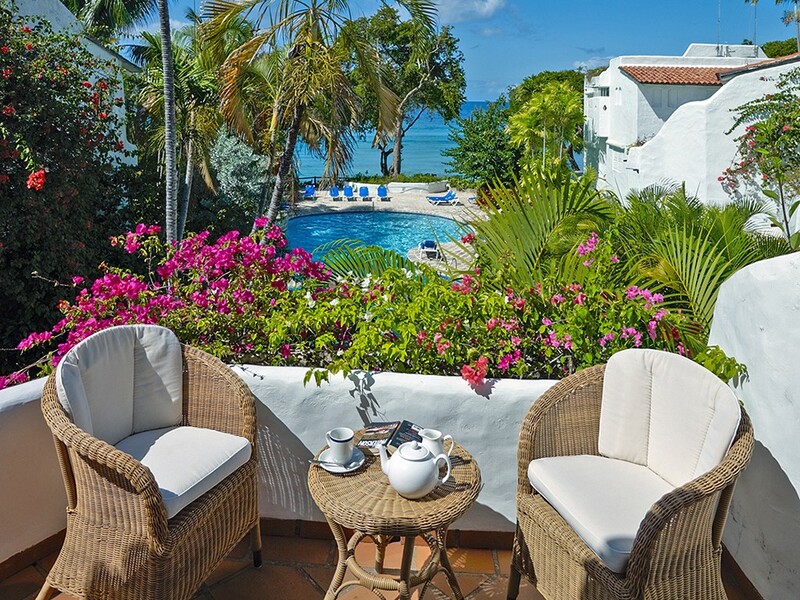 Tucked along the flawless sands of the St. James area, it offers visitors access to private paths to the beach, ocean side showers, a community-only pool and gorgeous gardens and grounds. In addition to the amazing facilities and grounds, visitors to the villa also enjoy the attentive services of their own household staff. This includes their private cook and their housekeeping team. As if that were not enough to make it a perfect destination, the villa also comes with some surprising additions. 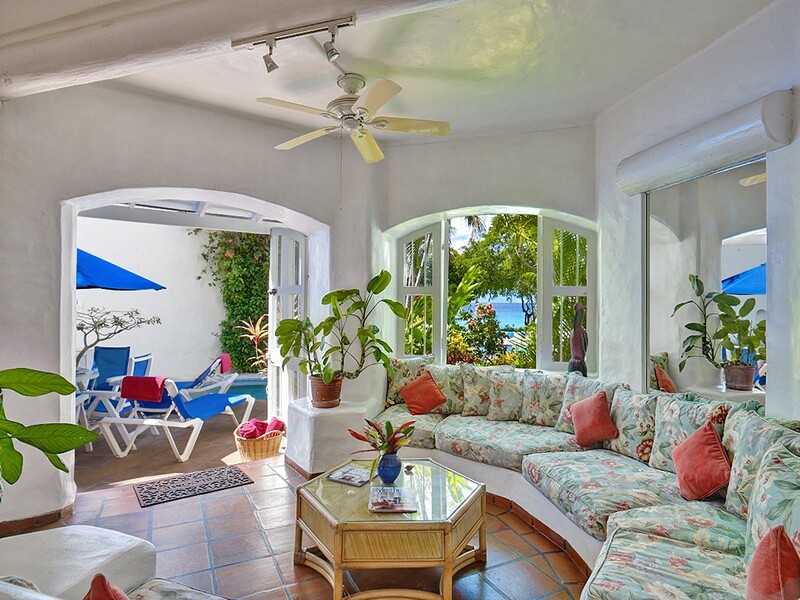 The charming villa features a hidden plunge pool and terrace offering total privacy. 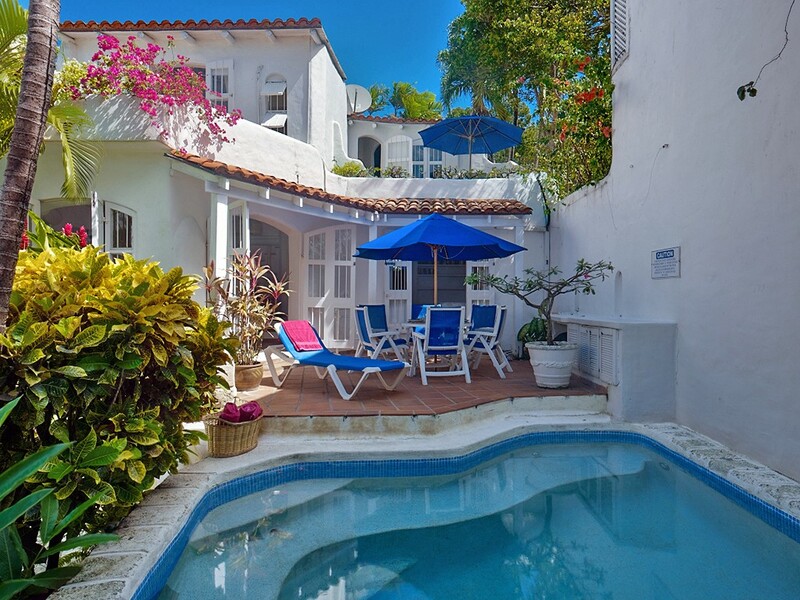 With gardens and potted plants surrounding it, this magical little terrace is sure to delight. Furnished for al fresco dining and hours of leisurely lounging, it will exert a constant pull. 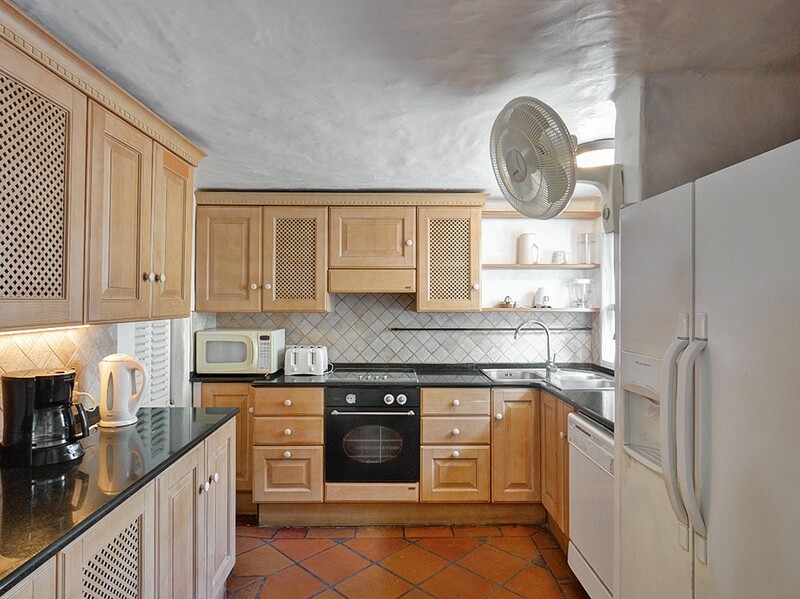 Step inside from this charming terrace and you are in the equally charming sunken living room. Furnished with a large banquette and open to the fresh air, it is a fabulous place to gather. There is also the formal dining room just off the large, gourmet kitchen. 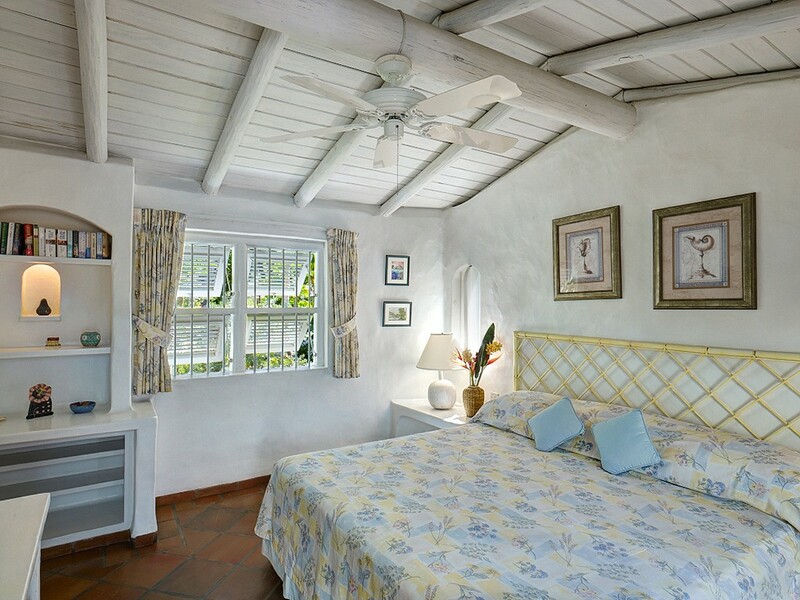 Upstairs, visitors enjoy their peaceful and private bedrooms. 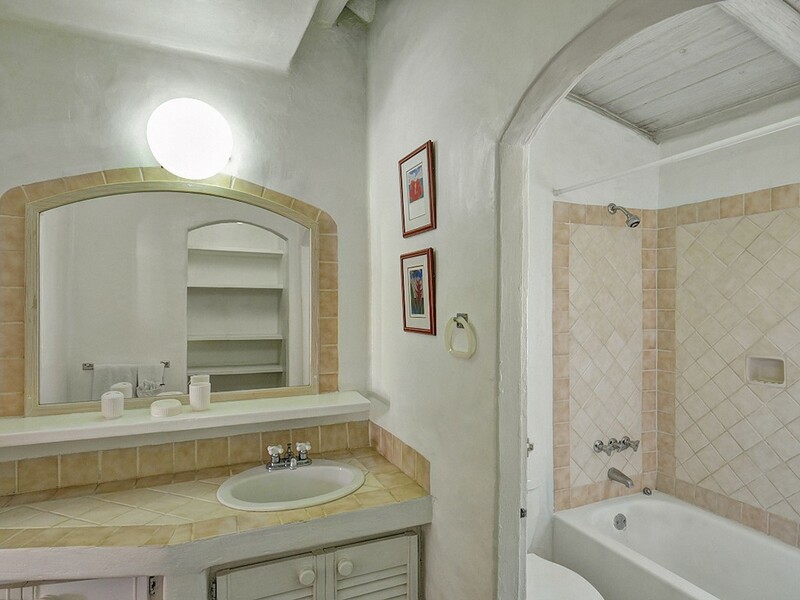 Two are on the first floor and feature large private baths with queen beds and amazing views. 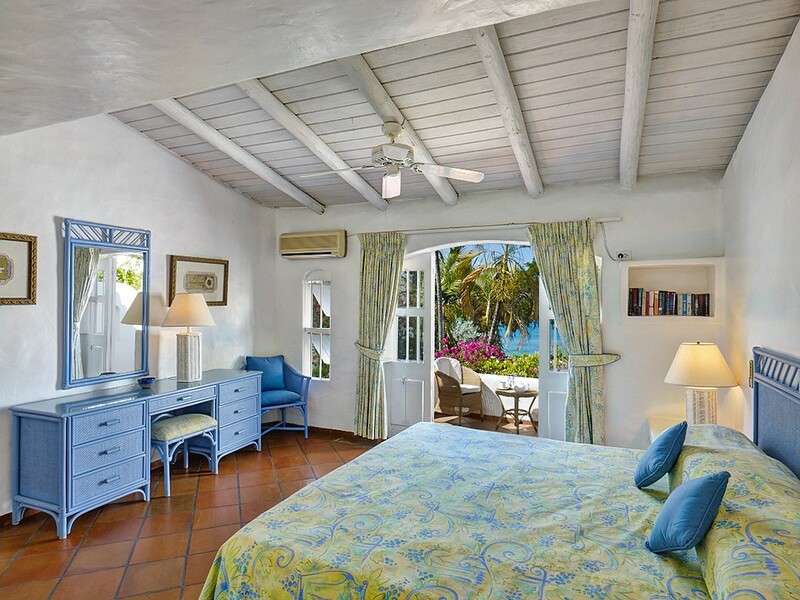 The master suite is on the upper floor and features an open-air terrace, king bed, sitting area and large private bath. With so much to offer, the Villa Merlin Bay - Firefly is a fantastic find and sure to delight groups of family or friends. Bedroom 1: Second floor Master bedroom with a king-size bed, A/C, ceiling fan and en-suite bathroom with shower, vanity and WC. 2 guests maximum. Bedroom 2: Second floor bedroom with a queen-size bed, A/C, ceiling fan and en-suite bathroom with shower, vanity and WC. 2 guests maximum. Bedroom 3: Ground floor bedroom with two single beds (can be made up as a queen-size bed), A/C, ceiling fan and en-suite bathroom with shower, vanity and WC. 2 guests maximum. ... a wonderful time as always ! We had a wonderful time. Cook, Roslyn, and housekeeper, Marlene, are brilliant. Property perfectly located. My friends and i, had a fantastic time staying at your villa it was well organized, clean and tranquil, your staff was pleasant and willing to assist us, each room was very cozy and relaxing from a long day out. I was also pleased we had everything to our convenience, also all the necessities we needed so we were very comfortable. 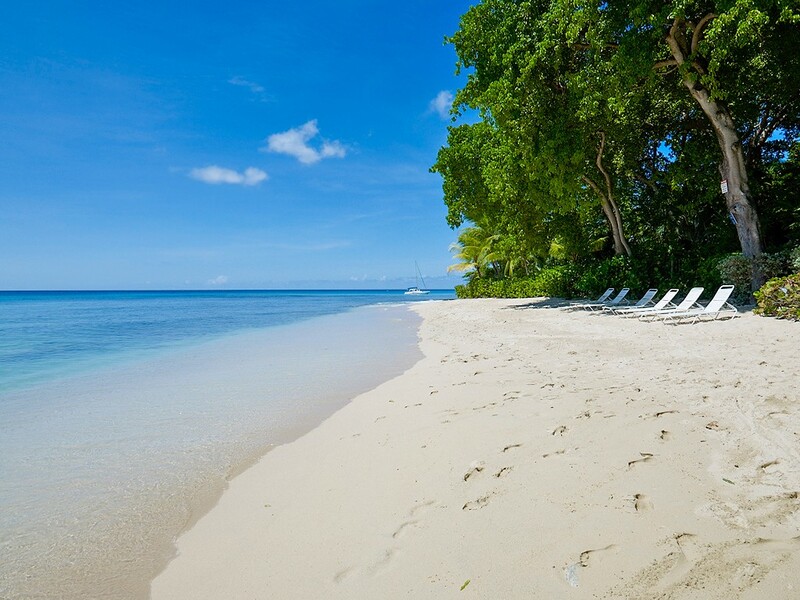 Thanks again to your staff in Barbados for making it an enjoyable stay. Looking forward to visiting next year. My family and I had a very pleasant stay and loved every minute of it. The staff was wonderful and very cheerful the whole time we were there. I would recommend this place without hesitation to anyone. My husband and I plus two of our children in their 20's stayed at the Firefly Villa at Merlin Bay for a week in April. 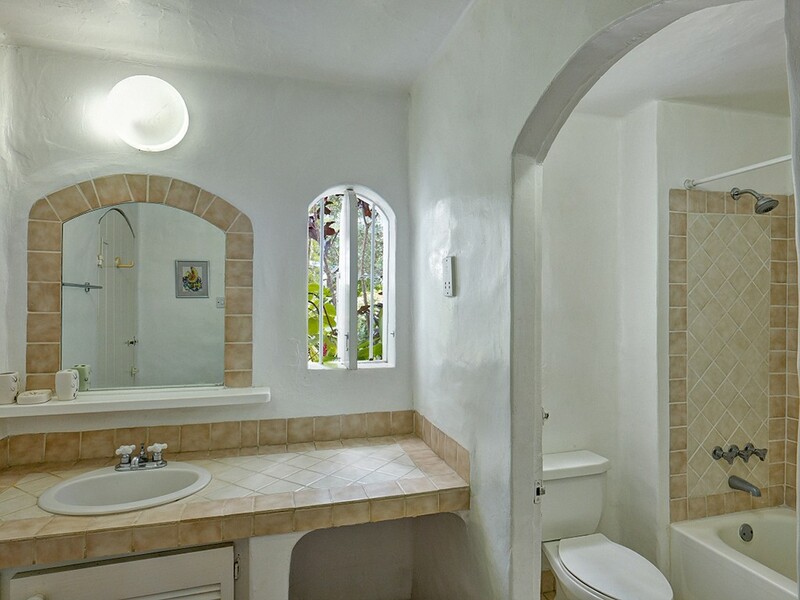 The villa is around a 10 min, drive from Holetown and within walking distance of a number of restaurants. I loved the fact that the villa had 3 BR with King-sized beds and bathrooms. Each BR had its own terrace and the Master Suite had a beautiful little terrace where we had our coffee in the morning and watched the Sea. The villa was very private and had its own plunge pool which was cleaned every day, as well as a main pool. It was also a short walk to the beautiful beach and sea. The villa rental includes its own cook and housekeeper, both of whom were very friendly and efficient. It was nice not having to cook but the trade-off is somewhat a lack of privacy. We really like to BBQ (a small BBQ is included with the villa) and would have preferred that the Cook come for perhaps a couple of days rather than for the whole stay, but having the Housekeeper was great. The kitchen appliances were dated and the fridge did not work properly and should be replaced. The oven was replaced during our stay. The only downside really for us was the noise coming from the nearby villas where there were young children who started crying around 7am. Although we could not necessarily see the people staying there, we definitely could hear them and they did not make any attempt to keep quiet. I realize there was no way to avoid the noise but it did mar our experience somewhat as the noise was pretty constant. Firefly was a perfect fit for our family of 4. The views from the second floor balconies were incredible, the back patio relaxing, the pool quiet and the beach was perfect. The swimming and snorkeling were terrific. The condo itself was suitable but could use a kitchen upgrade as the current one is very tired and a bit "sticky". The beds and pillows are tired so a person with a bad back may be quite uncomfortable. All in all, we enjoyed our stay immensely and would return. Our experience here was fab and everyone was so nice. We cant wait to return!